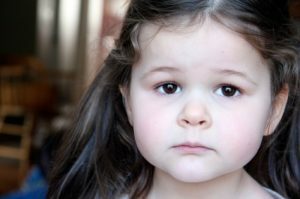 Illinois Divorce: How Well do Children Adapt to Divorce? One of the primary concerns that parents have about an impending divorce is the question of the resilience and adaptability of the children to divorce. In my practice at Law Offices of Michael F. Roe LLC, there has been a history of successfully managing cases that sometimes involve complex issues, such as a parent with traits of a personality disorder, Parental Alienation, or a toxic parent that acts out in the family with a lot of chaos, threats, and aggression. Cases that have these features make the protocols put into place all the more important in order to protect my clients and the wellbeing of the children. I have spent the last 20 years focused on the clinical and psychological issues in divorce and custody, and make every effort to apply this experience in each and every case in my Firm; there are no “cookie cutter” approaches and each family’s case is different and requires different solutions and plans. ” Divorce affects most children in the short run, but research suggests that kids recover rapidly after the initial blow. Most children of divorce also do well in the longer term. Researchers have consistently found that high levels of parental conflict during and after a divorce are associated with poorer adjustment in children. In my practice there are many cases where a co-parenting outcome is not appropriate. Behavioral issues, parenting deficits, or mental health issues require that the fit and healthy parent be awarded the primary custody of the minor children, for the children’s own developmental wellbeing. However, in some cases a co-parenting or shared parenting model is appropriate, and I have developed, in consultation with some excellent clinical co-parenting models, some very beneficial shared parenting agreements for parents. ” If you’re a parent, divorce doesn’t end your relationship with your former spouse. It only changes the form in some specific ways. It is still essential to create a working relationship focused on the optimum care and concern for your children. Every co-parenting relationship will be unique, affected by your post-divorce family dynamics. However, there are guidelines that will enhance the results for children in any family. Here are some crucial points to keep in mind to maximize your co-parenting success. ” As a therapist and writer specializing in divorce, I’m often asked, “When does co-parenting get easier?” While there is no simple answer to this question, most experts probably agree that while families usually adapt to co-parenting over time, it never really gets easier. Most co-parenting arrangements, especially after an acrimonious split, can be exhausting and exasperating. Put simply, the challenges change as children grow and develop. Consequently, it’s key for parents to keep in mind that the tools necessary to succeed need to be modified considerably as children age and mature. Clearly, research by child development experts demonstrates numerous benefits to children when their living arrangements enable support from both parents. One reason is that parents who co-parent tend to experience lower conflict than those who have sole custody arrangements. Studies show that conflict is what creates the most pain and anguish for children after parents’ split, and that keeping parental disagreements to a minimum is a key aspect of helping kids become resilient. Most people have a general sense of what a narcissistic personality is. We meet these types of people in everyday life, from neighbors, to co-workers, to relatives. However, when narcissistic personalities are involved in divorce and custody cases, I often see a toxicity, a malignancy, to these personality types that affects their ability to function as parents, to function under the stress of litigation, and to function without being abusive or toxic to the other spouse. Narcissists can make false allegations, act as parental alienators with children, and take positions in a divorce case that defy fact and logic. My job as an attorney in these cases is to assess the level of dysfunction, and manage the case appropriately so that my clients and the children, are protected. Have you heard someone be accused of being a narcissist, but realized that you don’t really know what that means? You know it’s negative. You may think that it probably means someone is egotistical, or self-absorbed. But how do you really know if someone is a narcissist? Who Could Possibly want to Adopt a Child with HIV? Some of my clients are aware that the funds provided for initial consultations with my firm go into a nonprofit foundation account (www.karunainstitute.org) for the benefit of a children’s orphanage in Ukraine, among other causes. I am presently coordinating with Life2Orphans.org on an Odessa, Ukraine orphanage project to assist children in the orphanage with HIV. Who Could Possibly Want HIV+ Children?